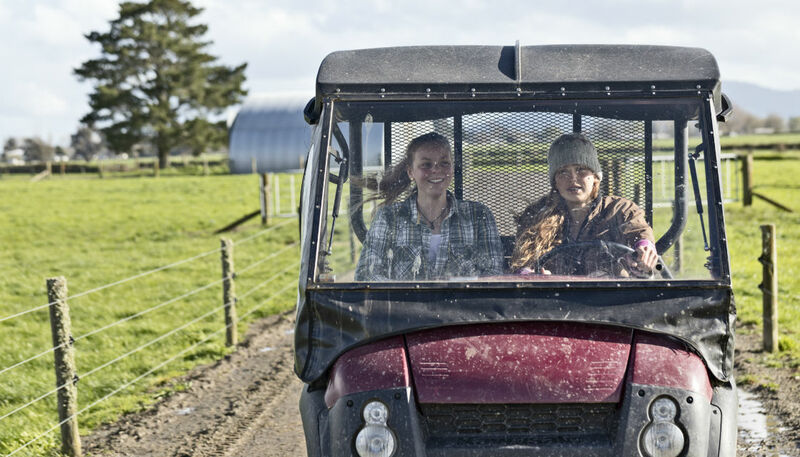 An initiative to attract more young people into sheep and beef farming is underway, as the industry grapples with a looming worker shortage. Figures show New Zealand's red meat sector will need to find an extra 33,000 workers by 2025 to replace people who will retire or leave the industry. A nationwide project is putting students from 100 primary schools onto sheep and beef farms to address the issue. "We want to get the industry on the radar of students and teachers, so they're aware of the career opportunities," said RMPP's Di Falconer. Thirty students from Ashburton have been the latest to take part in the programme, visiting the family farm of Stephen Blain at Ashton. Students were tasked with identifying types of wool suitable for making textiles and helping drench the sheep. "Most of them were a bit nervous to begin with and it was great to see them eventually get stuck in and giving it a go," said Stephen's partner Mary Holmes. "They loved the hands-on parts of the visit. It's a chance to ask lots of questions about the resources they're studying in class." Mary's been involved in a number of school visits to farms through her role with NZ Young Farmers' school engagement team. "This was my first time hosting a visit. It was fantastic to experience it from a different perspective," she said. "Most of the students aren't from farms and this project is a fun, interactive way to show them the wide variety of jobs available." The Blain's main focus is growing crops, but the property also runs 2000 sheep and a few beef cattle.